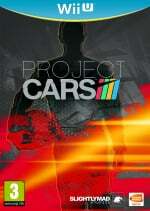 Project CARS is an ambitious cross-platform racer which is coming to a wide range of systems, including the Wii U. Developer Slightly Mad Games has been speaking about the Nintendo edition of the game, and continues to say nice things about the hardware. RG: Regarding the Wii U version, how are you going to use the Gamepad? Will it have Off-TV? Will it use the gyro sensor? Will you be able to use the touch screen to change the camera angles? There are lots of opportunities with the Wii U Gamepad, and we want to use it as much as we can because it´s so cool! There´s also Miiverse, which lets people post screen and post their thoughts on a game... The Wii U is full of opportunities. RG: What features of the MADNESS engine will be cut down for the Wii U version in comparison to the PC build? AT: Well, you´ll need to talk to our code team about that (laughs). But I can tell you that we´re making all the versions at the same time, so it´s not like we´re making the PC version and then we port it to consoles afterwards. But obviously, each console has its strengths and weaknesses, so the code team will have to make compromises and work out what suits each platform´s strengths better. The PC version, on the other hand, is going to be amazing! It will have the best resolution and the best graphics, obviously. It's not all good news, however. The expected release date for the game was early 2014, but it would appear that the date has slipped to "Q2 2014". Looks like we'll have to wait a little longer to see how amazing this title looks. Thanks for the interview info. I've been interested in this game since it was 1st announced for Wii U. Shame it won't be coming Q4 2013 as I was expecting. Still, main thing is we don't get a "crappy" version, so if time is needed, cool. Looking forward to this. 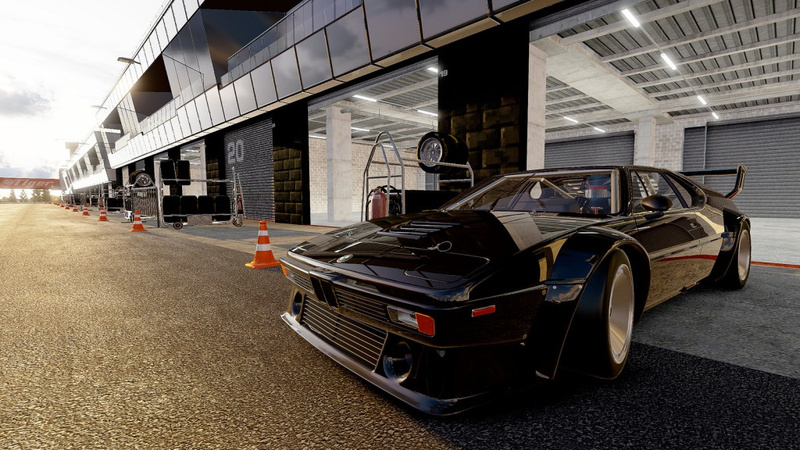 It's a nice complement to "Need For Speed"'s different arcade style antics. Didn't they recently get investigated by the financial services for suspicious activity? I thought the game was on hold. Hmm. This game looks very promising, let's hope it delivers. Eurogamer did a really well researched article on the financial situation. If the investigation goes against them, the game probably won't come out. And it will still sell the worst out of all the versions. @PokeTune Shhh, they might hear your negativity. Don't speak the truth. Maybe ill have a Wii U by then! This game really does look beautiful. I think I'll snag it! That's a really fascinating article...and it's certainly good that the FSA is looking into things to make sure no one gets screwed, but overall I feel that too often the government gets involved when it's really not necessary. Based on this specific scenario, it looks like it would cause more harm than good if it shut down the project...especially considering the backers wouldn't be able to get their money back, and then they'd be stuck without a complete game as well. Also, just wanted to point out that Ian Bell actually responded there in the comments about a third of the way down. I really like what he had to say, especially since he mentioned they now have a full refund policy. grrrr i need A GOOD RACING GAME ON THE WII U ALREADY!!!! Not a big fan of realistic racing sims, but I'll guess I can give it a try if reviews come off really good. 'Slightly Mad Games' (great name!) should look to Criterion and their wonderful version of Need for Speed U for pointers as to how a WiiU version should be. If they can get near to Criterion's WiiU version then they'll be onto a winner! Great! Now if only Nintendo had given the GamePad analogue triggers then the Wii U version would actually be worth playing.